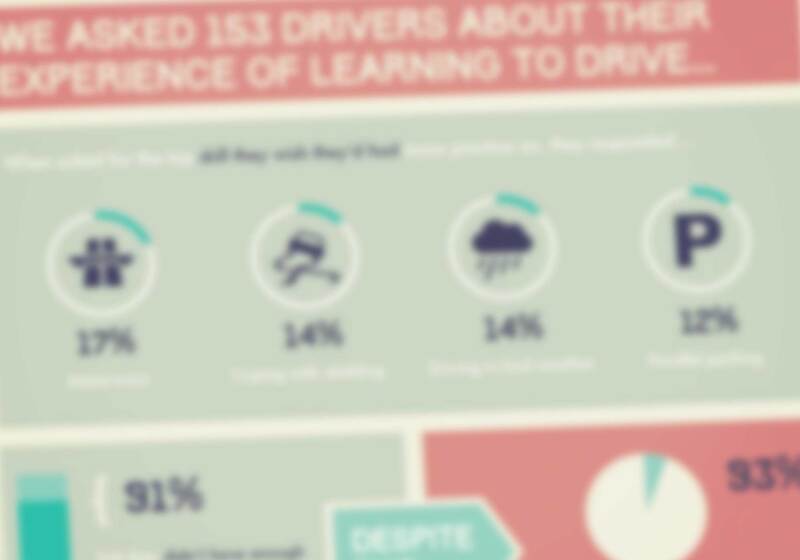 Find out what 153 drivers thought about their experience of learning to drive. 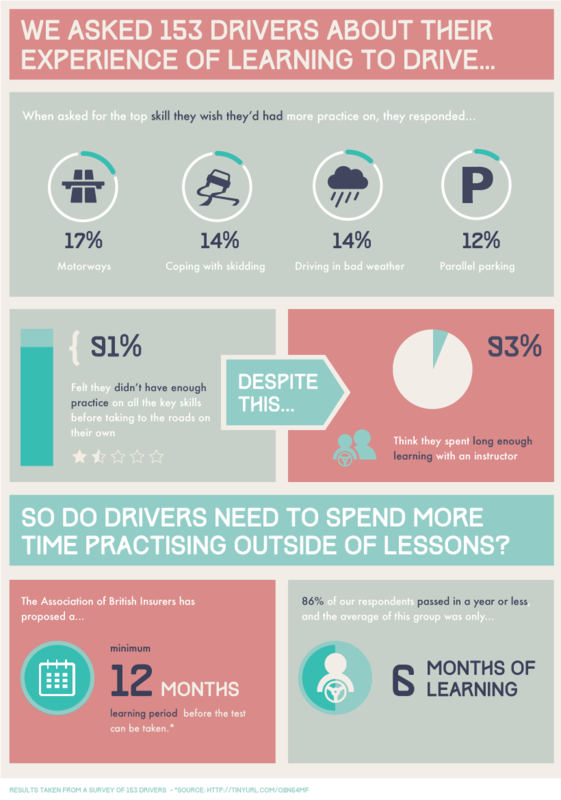 In preparation for our January Twitter Hour, we carried out a survey to find out a bit more about drivers’ experiences of learning to drive. The results are shown below. Feel free to use our infographic, just make sure you attribute it to drivelikeagirl.com. So do drivers need to spend more time practicing outside of lessons? Results taken from a survey of 153 drivers.